David’s semi-retirement has afforded him more time to travel and reconnect with our favorite vendors and destinations. He is our global correspondent sending back dispatches and pro-tips from his trip. 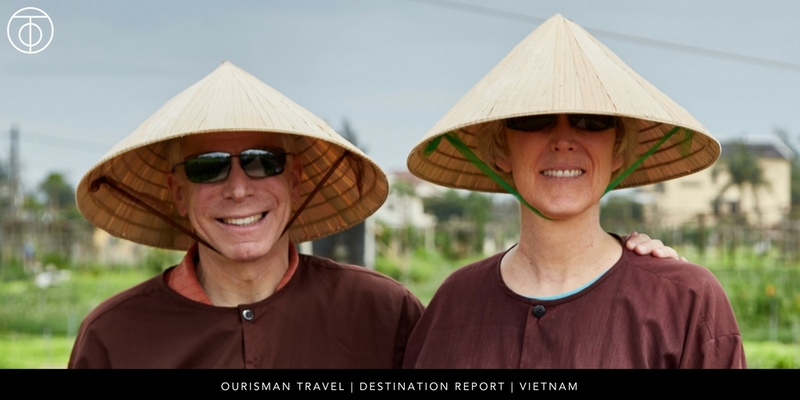 Most recently he travelled to Vietnam to take in all of the sights, sounds, and flavors of this incredible country and immersing himself in the local sights and culture. 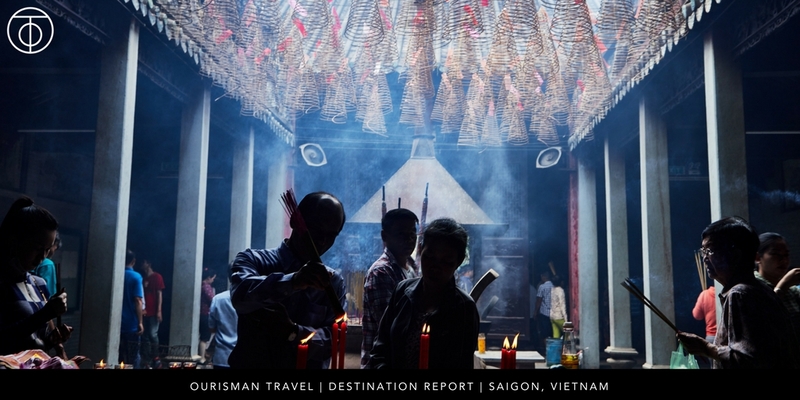 He’s gathering new recommendations and insights for hotels, restaurants, and tours that we will incorporate into your Vietnam itinerary. David traveled with our partners, Abercrombie & Kent and was quite impressed with the ease of logistics and exclusive access they were able to arrange for his Vietnam itinerary. The sightseeing was intelligently planned to accommodate for weather, crowds, and traffic and the guides were knowledgeable and friendly. You’ll see in the list below, those local guides came in handy several times throughout David’s trip! Start in Hanoi: Hanoi is the best gateway city for a trip to Vietnam. It can be busy and overwhelming, but it is equally charming and welcoming. It offers a view into the past, present, and future of Vietnam. Where to Stay in Hanoi: The Sofitel Metropole is, for now, the luxury hotel choice in Hanoi, although Four Seasons is planning to open a hotel on Hoan Klem Lake in the downtown area of the city. For a good 4-star option, we recommend the Hotel de l’Opera Hanoi MGallery gy Sofitel. Metropole Wing vs. Historic Wing Rooms: The original wing in the historical building is known as the Metropole Wing (or the Historical Wing). Rooms are smaller but have the authenticity of French colonial architecture design. Book a Grand Premier room in the newer Opera Wing if you prefer a up-to-date room with a fully featured bathroom; Club access is also included with this category. The Bomb Shelter: If you’re a guest at the Metropole, take advantage of the tour of the hotel’s bomb shelter (complimentary for guests, but make reservations in advance as the spaces book up). You’ll also learn about the history of the hotel. The Metropole is one of four famous colonial hotels in Asia; the guide will ask if anyone happens to know the other three. If you want to impress, they are: the Mandarin Oriental Bangkok, Raffles Singapore, and the Strand in Yangon. Hoi Lo Prison in Hanoi: sarcastically referred to as the Hanoi Hilton by American POW’s, is well worth the visit. John McCain is among the former residents of this prison, and I found it moving to spend time in the space. Generally speaking, I was surprised at how open Vietnamese people are about discussing the war. Don’t hesitate to engage in conversation about the war with Vietnamese people you meet. You’ll hear diverse points of view, and northerners and southerners have quite different opinions about the war and its outcome. Hanoi Restaurant Recommendation: A most worthwhile local Hanoi restaurant is Quan An Ngon. I choose not to dine at “gourmet” high end restaurants when I visit foreign cities. I prefer to experience local restaurants that the locals patronize. This restaurant was recommended by our A&K guide. The large dining room is surrounded by food stations where you can see different dishes being made. Everything we tried was authentic and delicious, and the price was so reasonable. Don’t Miss Tra Quan Village: A typical Vietnam itinerary will send you to Hoi An, which is an UNESCO world heritage village. While the village is quaint with some worthwhile attractions, it has become too popular and I found it too crowded with tourists and lined with shops selling to them. If you are in the area, fast-track your time in Hoi An and then invest some time in visiting Tra Quan Village instead. This is a community growing organic vegetables. You can have an informative walk through the farm, enjoy a foot massage, and make a Vietnamese lunch, all for a quite affordable price. In Hoi An, our go-to hotel is the Four Seasons Resort the Nam Hai and this is a great itinerary addition if you want to insert some R&R amidst all of the exploring. Amanoi: This resort is the equal of any Aman resort I’ve ever visited. If you want a sense of privacy and some beach time, this is a great addition to your Vietnam itinerary. I loved the dramatic entrance and the rooms are gorgeous. It may not be a world-class beach, but it is private and I enjoyed the restaurant by the beach where you can have lunch; the food is wonderful. War Remnants Museum: Saigon’s most interesting sightseeing attraction is the War Remnants Museum. When you visit, go straight to the third floor and spend your time viewing the photography exhibition in rooms 2, 3, and 4. There are other exhibits about the Vietnam War if you have time. The exhibits definitely display a Vietnamese perspective but, as they say, history is told by the winners. The Ho Chi Minh Mausoleum is a solemn and very impressive monument to Ho Chi Minh, the leader who championed the independence of Vietnam from France and who ultimately brought about the reunification of north and south. When we visited, the queue was over 45 minutes long, but our A&K guide was able to phone a contact and get us fast-track entry. Saigon Dinner Recommendation: We had a wonderful dinner at Cuc Gach Quan, a local restaurant on a back street in Saigon. Although some tourists were there, this is a restaurant that attracts the locals. The food is excellent and the prices are extremely reasonable. Because of the logistic requirements of traveling around Vietnam, we recommend our Tailored Luxury itinerary design service for building your Vietnam itinerary. This process will allow us to collaborate with you and put together an itinerary that helps you tick off the boxes on your travel wish list while also ensuring your travels run smoothly and you enjoy the best quality tours and experiences. Let us know when you’re ready to travel to Vietnam and we’ll be ready to dive in! 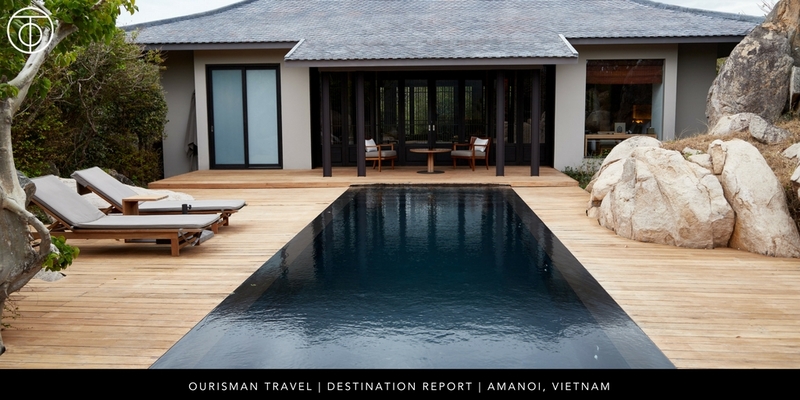 This entry was posted in Asia and tagged A&K, Aman, Four Seasons, Vietnam. Bookmark the permalink.